In October 2007 we opened the doors to a new, state-of-the-art, LEED certified, 40,000 square foot facility. The shelter allows us to safely care for more than 8,500 animals every year, and provides a space for our educational, advocacy and animal welfare services. The classroom is a multi-purpose space used for events such as tour group presentations, volunteer information sessions, dog obedience classes, and kids programs. Visible from the visitor gallery, each socialization room is surrounded by groups of eight dog pods. These areas provide an opportunity for visitors and volunteers to interact with dogs in a comfortable and controlled environment. The behaviour training room provides a space to advise clients about options to treat pet behaviour problems. 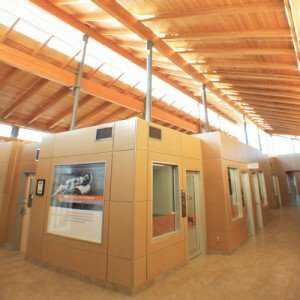 This facility is equipped to provide medical and surgical care to in-shelter animals and subsidized spay and neuter to the public. Read more about our clinic. The Cat Condo – a room instead of cages – is a fun space for the cats to play in full view of the Visitor Gallery. As well, these rooms have generous display cages adjacent to the Visitor Gallery. 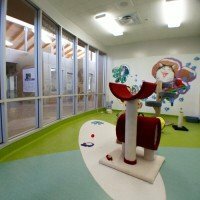 The Wards include ‘Get Acquainted’ rooms to facilitate interaction prior to adoption. The cat isolation wards provide safe, clean and isolated areas for cats who have once carried infectious illnesses, are on special diets or do not feel comfortable living in a condo with other cats. 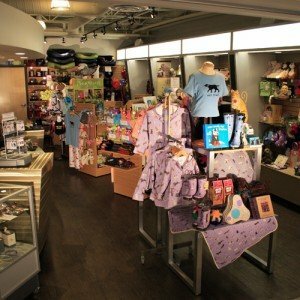 Our boutique offers fun and practical merchandise for both you and your pet. Shop inside the shelter or online! The new shelter is located at 45 Hurst Way (at Waverley) and features some beautiful green space in the back, including walking trails, a pond and small wooded area.